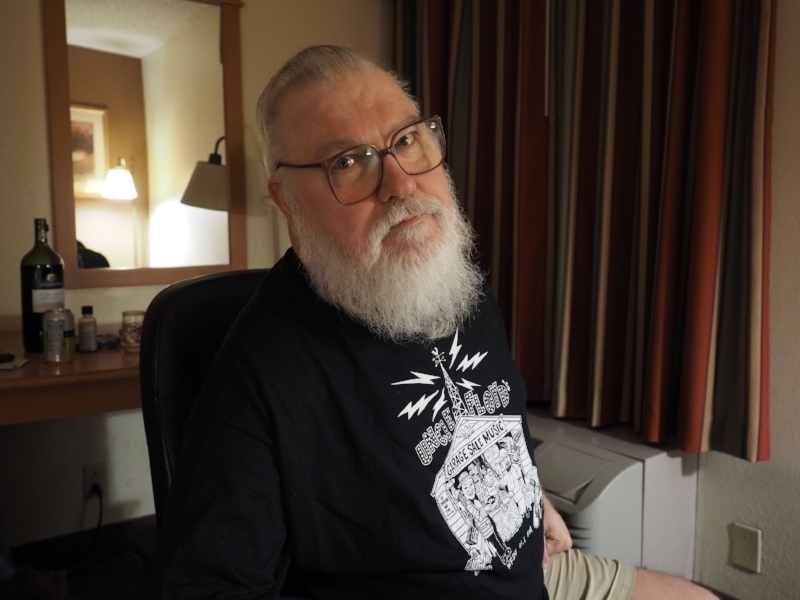 R. Stevie Moore, aka the Godfather of Home Recording, or often just RSM, is the legend known and unknown internationally. RSM has indefatigably composed, recorded, and released his own music on vinyl, cassette, CD-R, and digitally decades before the DIY esthetic entered mainstream consciousness. Championed by the likes of Tim Burgess (Charlatans), Jason Falkner (Beck, Jellyfish, the Grays), Albert Hammond Jr. (the Strokes), and Ariel Pink among many, many others, the home recording pioneer's body of work and genius speaks for itself. That being said, we've relished the privilege of touching base with Mr. Moore now and then to document aspects of his legacy directly from the source. Classic R. Stevie Moore albums like Phonography, Glad Music, CLACK!, and Delicate Tension laid the foundation for a world-wide base of RSM enthusiasts, upon which he has steadily built and exponentially grown well into the 21st century. R. Stevie Moore - "I Like to Stay Home"
Stevie's upcoming projects include a documentary titled Cool Daddio and a collaborative album with Gary Wilson. In 2017 he released a collaborative album with Jason Falkner titled Make It Be.